I have been making lots of handmade sugar roses for lovely summery cakes over the last few weeks. 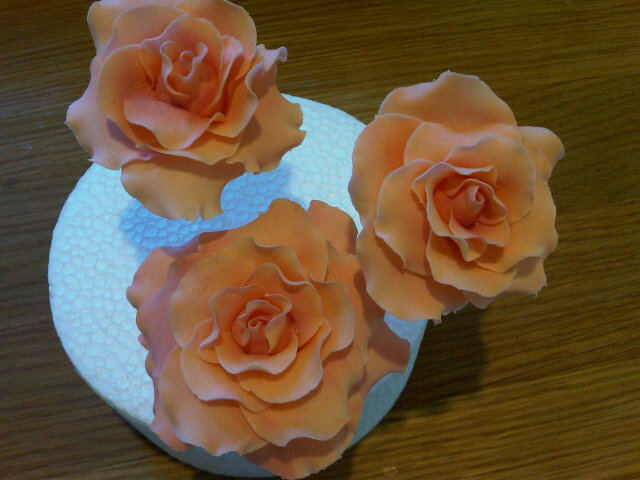 Big soft roses look beautiful on any cake and can be carefully coloured to match the flowers in bouquets and table centres. From contemporary white to vintage dusky pink and apricot, there is a rose for everyone. This wedding cake, with cascading handmade sugar flowers, was made for a tropical themed wedding held in the beautiful Sussex countryside. 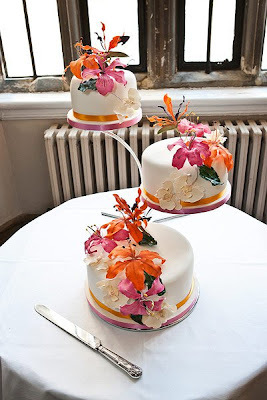 The bright colours and interesting shapes matched the flowers in the table arrangements, while the cascading orchids were made to pick up details of the brides bouquet of cream orchids. Iced cookies make a lovely gift for a new baby or for a christening. 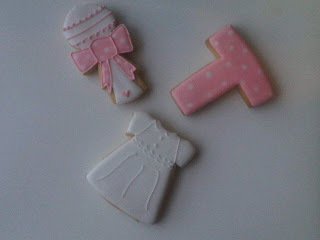 I recently made these cute girly cookies for baby Tallulah's christening. 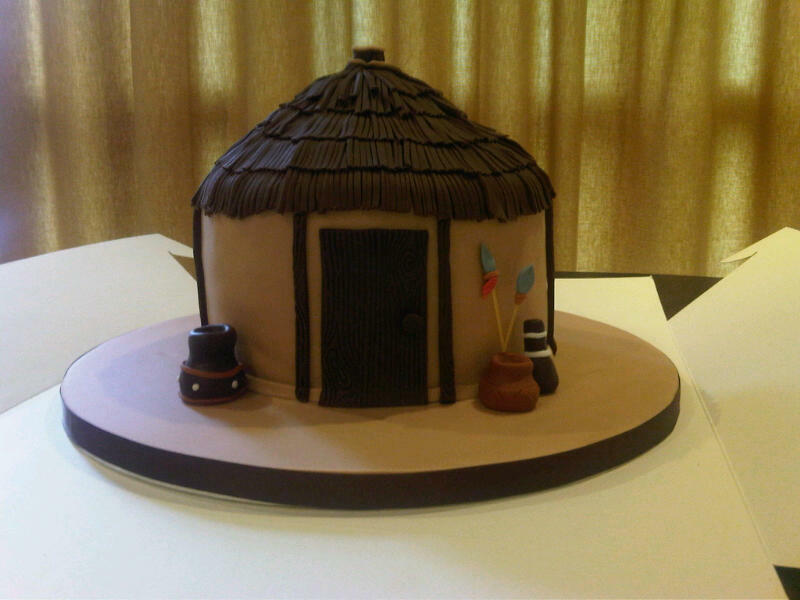 Last week I made a great Rondavel cake for an African themed party complete with thatched roof, earthenware pots and spaghetti spears. 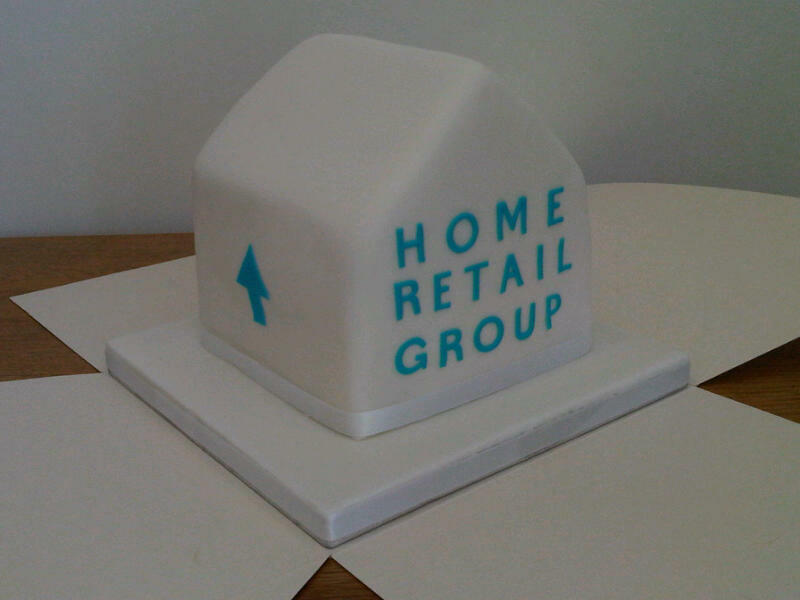 Four additional kitchen cakes were used so that there was enough delicious chocolate fudge cake for all 200 guests, whilst keeping the actual cake a manageable size. 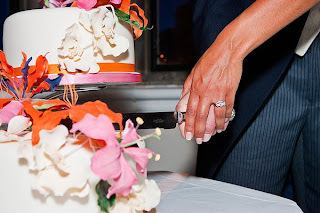 Kitchen cakes are a good way to feed lots of people and make life easier for your caterers as they can all be portioned in advance, especially if you choose to serve your cake as dessert. 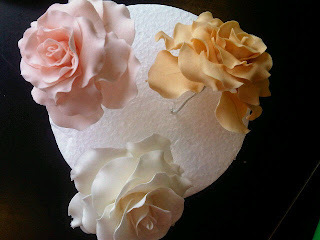 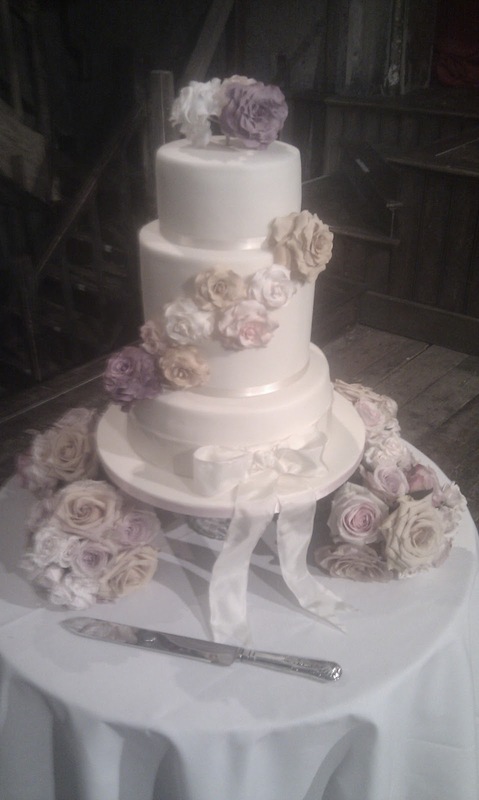 I design and create beautiful bespoke cakes and cookies for special occasions. I also teach cupcake and cookie decorating and relaxed cookery classes in your home. 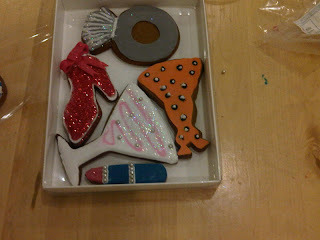 My book on cookie making, Supercute Cookies, will be in the shops on 11 August.